On April 18, 2019, we've added 200 new sweepstakes. SA also has 1824 sweepstakes expiring in the next 14 days. Use the navigation toolbar up above on the page to access all these exciting giveaway prize opportunities. Please get your entry in. We are giving away an Acer Laptop! Congratulations to Sweepstakes Plus member +micheleeclw for being selected as a grand prize winner in the Camping World Tailgate Kick Off Sweepstakes. They have won a 2019 Thor Motor Coach Freedom Elite 22FE. The Prize has an approximate retail value of $60,989.00. Quote from the winner: Awesome win and the best yet!!! I am really excited to get it. Thank You Sweepstakes Advantage!!!!!! The Five First place winners will each receive one $1,000 Garnet Hill gift card. One Grand Prize winner will receive one $5,000 Garnet Hill gift card. ARV of Grand Prize: $5,000. The Traditional Home Layers of Linen Daily Sweepstakes ends June 15th. Daily entry is allowed in this promotion. There will be one grand prize. Berries for a Year, awarded as a $260 USD/$330 CAD Driscoll’s Visa pre-paid gift card. You have until September 5th to enter the Driscolls Share the Berry Joy Sweepstakes. Daily entries are allowed in this promotion. Good luck to all. The sweepstakes winner will receive a trip that includes three nights, four days oceanfront hotel accommodations for themselves and up to three guests in Myrtle Beach, SC within the 2019 calendar year. The trip also includes roundtrip, coach-class air transportation for guests from a major U.S. gateway airport near winner’s residence to a Myrtle Beach, South Carolina area airport, a $500 Tanger Outlets shopping gift card, and a $100 dining credit. ARV of Grand Prize package: $2,625. The Entenmann's Mother’s Day Visit Myrtle Beach Sweepstakes expires on May 12, 2019. Ten Grand Prize winners will each receive a Major League Fishing Ultimate Dream Experience at Hawk’s Cay Resort from Monday, September 16, 2019, to Thursday, September 19, 2019. Grand Prize package includes a Round-trip, coach-class airfare for the winner to an airport of Sponsor’s choice in Florida. Three nights, single-room accommodations at Hawks Cay Resort. Group meals. Two salt water, half-day fishing excursions. One Major League Fishing jersey and gift bag. The ARV of each Grand Prize is $2,500. Major League Fishing’s Ultimate Dream Sweepstakes ends June 30, 2019. Three Grand Prizes will be awarded. Each winner will receive a gift certificate for a 24-hour rental of an industrial frosmachine plus a one hundred dollar ($100) cash gift card. Frosmachine rentals are subject to availability and must be completed by November 1, 2019. Approximate Retail Value of each Grand Prize is six hundred dollars ($600) per prize. (Total ARV: $1800). The Frontera Frosdaily Sweepstakes ends on August 31st. A total of nine prizes will be offered in the Sweepstakes. One Grand and eight First Prizes. One Grand Prize Winner will receive one premium cashmere blanket. Approximate Retail Value of Grand Prize is $500. Eight First Prize Winners will each receive one cashmere scarf. ARV of First Prize is $100. Enter the Cashmere Wines Cozy Cashmere Sweepstakes before May 31, 2019. Win a Trip for Two to Times Square New York and Celebrate the New Year in Style. Enter to win a sweepstakes Grand Prize from Bubba Gump that includes: Two (2) tickets to attend the Bubba Gump Shrimp Co. Times Square New York, New Years Eve Party on December 31, 2019 and airfare (granted in (1) $1,000 American Express Gift Card). Approximate Retail Value of the BubbaGump.com Bubba Gump Run Across America 2019 Sweepstakes Grand Prize: $3,000.00. Each Daily Prize will consist of two (2) Collins Glasses with an approximate retail value of $7, plus Administrator(s)’ choice of one of the following additional items: Heart Sunglasses (ARV $71); T-Shirt (ARV $10); Tote Bag (ARV $40); Coconut Speaker (ARV $72); Hat (ARV $36); or a Beach Towel (ARV $22). Total ARV for all the prizes is $4,060. Don't forget to enter the E.&J. Gallo Winery The RumHaven Sunnier Haven Sweepstakes by June 29, 2019. One Grand Prize will be awarded, consisting of winner’s choice of a five days and four night trip for the winner and one travel companion. Winner’s choice of either Boston, Massachusetts; or Honolulu, Hawaii, in the form of 160,000 HawaiianMiles prize certificate and four night hotel accommodations at a Sponsor-select hotel, one standard room. The maximum ARV of the Grand Prize is $10,136. April 25th is the last day to enter the HawaiianAirlines Which Shore Would You Explore Sweepstakes. Winner will receive a family trip package for winner and up to three guests. The trip package includes round trip airline tickets from a major airport closest to Grand Prize sweepstakes Winner’s residence to Phoenix, AZ. Also included is hotel accommodations for four (4) people that includes three standard room nights at the Grand Canyon Railway & Hotel located in Williams, AZ and two standard room nights at the Maswik Lodge North located in the Grand Canyon National Park. A check for $250 will also be sent to the Grand Prize Winner to help cover any additional expenses. Approximate Retail Value of the prize is $4,750. Enter the Menchie’s Missing Link Adventure Sweepstakes daily until April 30th. You don’t sit in the RZR RS1, it becomes an extension of you. Enter for your chance to win the most agile RZR ever, customized with race-inspired Polaris Engineered Accessories. The Grand Prize is an Accessorized Polaris RZR RS1 (ARV $18,000). RZR has a reputation for delivering the most extreme, most exhilarating, most adrenaline-filled off-road experience you can dream of. The RS1 is no different. Don't forget to come back and enter the Polaris RZR RS1 Sweepstakes. The Prize will consist of a three (3)-day, two (2)-night trip for the Winner and up to one guest to the Toronto, Canada, area. This will include round-trip coach-class air transportation for the Winner and Travel Companion from a major commercial airport near the Winner's home to an airport in or near the Sponsor-designated destination city; ground transportation to and from airport to hotel in or near the destination; two nights' standard hotel accommodation; ground transportation to and from hotel to the designated event location; and two (2) ringside seat tickets to the August 11, 2019, SummerSlam event at the Scotiabank Arena in Toronto, Canada. Estimated Retail Value ("ERV") in the USA Network Ultimate SummerSlam Experience Sweepstakes is six thousand one hundred dollars ($6,100). Keep kids active and happy with a cash prize to fund sports equipment, summer camp or any other adventures they seek. There is one Grand Prize available to be won. The Grand Prize is one check for $5,000 which will be awarded to the confirmed winner. The ARV is $5,000. Come back often to enter the Orgain The Feed Their Fun Sweepstakes. This promotion expires on April 30, 2019. Winner[s] will be selected on or about March 1, 2020 in a random drawing from among all eligible entries received. In the event the Sponsor does not receive any eligible entries, the Sponsor has the right to cancel the Sweeps. Drawing will be conducted by Hearst Magazines Consumer Marketing, whose decisions are final. Odds of winning will depend upon the total number of eligible entries received. Prizes & Approximate Retail Value: One Winner will receive a check for $10,000.The HarpersBazaar $10,000 Dream Big Sweepstakes ends on January 31st, 2020. With so many places to shop, we want you to know your loyalty doesn’t go unnoticed. So as part of our Customer Appreciation Month celebration, we’re giving one lucky winner $25,000! One Grand Prize will be awarded during the Promotion, $25,000 awarded in the form of a check. The total ARV of the Promotion Grand Prize is $25,000.00. The HSN $25,000 Customer Appreciation Sweepstakes expires on April 30, 2019 and allows daily entries. Sweepstakes Winners Recent... 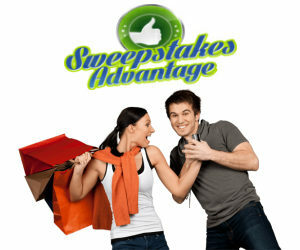 Sweepstakes Winning is Fun Sweepstakes Winners know entering sweepstakes is fun, but the real fun is winning, right?! Just like the lottery, when you enter, you get a chance to dream about what you’ll do with the prize or who you’ll take with you if you win that big trip. The power of those daydreams keeps you entering again and again. When you win, you join a special group! The sweepstakes winners who entered through our site are announced in our winner’s circle. We’d like to take a few minutes to give them their time in the spotlight here.